This is Jason's first show with Beaverton Civic Theatre. Jason had performed in community theatre shows such as portraying Tom Collins in RENT! and Ralph Rackstraw in H.M.S. Pinafore at Pentacle Theatre in Salem, OR. Jason earned a Masters of Arts in Interdisciplinary Studies with a focus on Education, Music Education, & Vocal Performance from Oregon State University. As well as a Bachelors of Science in Vocal Music. He is excited to be part of the BCT family. Beth has worked professionally as a singer, voice teacher, and accompanist for over 30 years. Beth's debut performance with BCT was in 2012 as Lucy van Pelt in You're a Good Man, Charlie Brown. She played The Witch in BCT's recent production of Into the Woods and was Musical Director and Pianist for their production of Songs For A New World in 2015. Beth lovingly thanks her family for their steadfast support and inspiration. Olivia has been involved in theater since she was four. She has played in a variety of student, community, and professional productions, most recently seen as Little Red Riding Hood (Into The Woods with BCT), Gertrude McFuzz (Seussical), Glory (Almost, Maine), Blousey Brown (Bugsy Malone). In 2015 she was a State and Nationals Showcase Qualifier for the Oregon Thespians Competition. Olivia is delighted to play in her Third BCT production! Riley has enjoyed musical theater since the age of 5, performing in a number of NW Children's Theater PlayLab productions. She has been a member for 4 seasons of their musical theater traveling troupe, Kid's Company, and will soon appear mainstage in The Wizard of Oz. Riley has also acted in school musicals, Belle in Beauty and the Beast, and was a member of the Children's Chorus in Portland Opera's Carmen. At 50 Stan pursued his long denied dream of acting. First role was Oscar in The Odd Couple at TITG. Second role was a reprise of Oscar in BCTs second production. Since then he has been in love with the BCT community including Bus Stop, The Nerd, The Dining Room, 12 Angry Jurors, and his directorial debut Crossing Delancey. This role fulfills his long avoided desire to shave his head. Love ya Les! A recent transplant to Oregon from Venice Beach in Los Angeles, Laurie picked back up the acting career she’d ditched for psychology. She is a veteran of more than thirty stage productions, as well as numerous comedies and dramas, interspersed with film and television. In LA, she was a founding member of Sideshow, a comedy group.“I’m thrilled to be able to return to acting with such a fabulous character role. Thank you Josh and Melissa!!" James Van Eaton came to theater late following a cameo appearance in Chasing Moonshine, an adaptation of his second novel. Now he's making up for lost time with a number of diverse roles. Most recently he portrayed Sandy Lord in the Philadelphia Story, and Phileas Fogg in Around the World in 80 Days, both for BCT. A huge Addam's family fan, he is thrilled to be playing Lurch. Greg is pleased to be back on stage with BCT. Greg has only more recently been able to pursue a passion for acting and get involved in local theatre, and has loved every minute of it. Some favorite roles in The Curious Savage, The Music Man, The Crucible, Charlie’s Aunt, The Importance of Being Earnest and The Philadelphia Story. Thanks to BCT for giving him this opportunity and to the many people who have helped and supported him. Austin is thrilled to be joining the cast of The Addams Family as Lucas. This is Austin's Beaverton Civic Theater debut and he is happy to part of such a wonderful cast. He was most recently seen in Clackamas Repertory Theaters' production of The Music Man as Jacey Squires. He was evolved in Journey Theater Arts group for over 6 years. Austin's passion is musical theater. (He is quite a musical guy) He hopes you enjoy the show. Erin is excited to be returning for another show at BCT. Originally from Juneau, Alaska, she attended Eastern Oregon University where she studied English and musical theatre. Past favorite roles include: Alice Beane (Titanic: The Musical), Princess Winifred (Once Upon a Mattress), and Rona Lisa Peretti (The 25th Annual Putnam County Spelling Bee). Erin would like to thank her husband and son for their love and support. Having recently appeared as Truly Scrumptious in Canby Community Theater’s production of Chitty Chitty Bang Bang, Nicole is delighted to join Beaverton Civic Theatre in another musical adaptation of a beloved classic. Originally from San Jose, California, she holds a Bachelor of Arts degree in Music Industry & Recording Arts from CSU, Chico. Her favorite past roles include Jo March in Little Women, Kate/Lilli Vanessi in Kiss Me, Kate, and Maria in The Sound of Music. Robin is new to BCT but not to community theater. She’s long enjoyed turning herself into interesting personae –from a singing Mother Superior to a lovingly homicidal aunt, to a wealthy seer of ghosts living at the seedy Hot’l Baltimore. This is the first time she has been a ghost. As much as she loves her hobby, she has always kept a day job (physician-turned- biology teacher). Thanks as always to Chuck for your love and support. Willow's first theater experience was as Cathy Cratchit in Scrooge: The Musical with Key City Public Theatre in Port Townsend, WA. Her appearance in The Addam's Family is her first with BCT! Most recently she played Juror #9 in Village Home Educational Resource Center's production of 12 Angry Jurors. She has also participated in summer productions with Broadway Rose. She is homeschooled and enjoys crafting and cosplay. Sarah Ominski is excited to be an Ancestor in The Addams Family! This is her third show with BCT and she enjoys this new opportunity to work with a great cast and crew! Sarah graduated from DDHS. In real life she is a secretary for Finlandia Sauna and is known as Granny to her 3 sons children! She would like to thank her Family and Friends for supporting her in her pursuit of exceptional theater! Jade is excited to be a part of the Addams Family! She recently performed in the Wizard of Oz and is enjoying this very new, spooky adventure. Her favorite roles include ensemble in Beauty and the Beast and the Sugar Plum Fairy and Gingy in Shrek the Musical! When offstage, Jade enjoys kayaking, painting, and hiking with her dogs. Charlotte is a 9th grader and lives in Tigard. She is thrilled to be performing again at BCT after playing Sara Crewe last season in The Little Princess. Recently Charlotte was seen in Junie B – The Musical with Stages and Broadway Rose’s Pirates of Penzance. Offstage she studies voice, classical violin, bass guitar and enjoys drawing and painting. A BIG Thank you to BCT, teachers, her friends and family for their support! Nolan is extremely proud to be a part of BCT's musical this season! This has been his fourth production with the company, last seen in Knuffle Bunny: A Cautionary Musical. He would like to thank Melissa and Josh for the opportunity to play the oldest ancestor of the Addams Family: the Neanderthal! He would also like to thank tremendously his beautiful family for their support in his passion for the performing arts. Brittain is a native of Washington, D.C. and began dancing at the Duke Ellington School for the Arts where he graduated in 2002​. He has trained and been awarded scholarships to Washington Ballet, Dance Theatre of Harlem, The Dance Institute of Washington, the Northwest Professional Dance Project, and the Ailey School. Brittain continued his studies at the Purchase College Conservatory of Dance and graduated in May 2006. Brittain has performed with Reflections Dance Company, Northwest Dance Project. Woody has always had a passion for singing. He sings with the Multnomah Community Choir, is a member of Light Opera of Portland and has performed with Beaverton Civic Theatre in Into the Woods. When not performing on stage Woody is often behind the scenes building sets and specialty set pieces for BCT and other local theater companies. Annie is pleased to be returning for her third show with BCT and working with the eminently talented Josh and Melissa. She ran sound and made a guest appearance in Into the Woods, and loved stage managing for Songs for a New World. When she's not wrangling actors, she's wrangling dogs and cats into physical therapy at Oswego Animal Rehab. As always, thanks and love go to her husband, Ray, for the long nights and for everything. ​Josh has served as musical director for BCT since 2010 and on its board of directors since 2012. 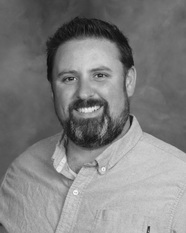 A graduate of Aloha High School, Josh has been engaged in performing arts in the Beaverton community for more than twenty years. He strongly values the depth and quality of productions BCT brings to the community along with the experience they provide to volunteers at every level of involvement. Josh holds a degree in Music Education from Ouachita Baptist University and is the Choir Teacher at Stoller Middle School, BSD.